This is a detailed user review for Maybelline Colossal Volume Express Mascara. This product comes in two variations: the washable one (yellow+purple package) and the waterproof one (yellow+sky blue package). 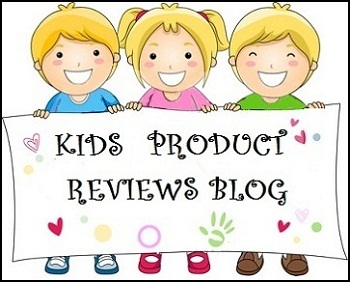 This review is for the washable variation. 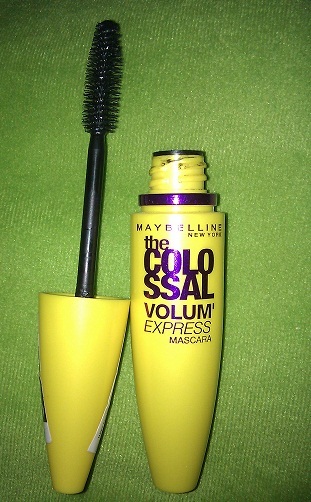 This is the first Maybelline mascara I have used. I have used Lord and Berry treatment mascara, Revlon waterproof Mascara and Almay lengthening mascara in brown in the past. This mascara does add drama to your lashes and highlights them beautifully. ‘M loving it’ more and more with every wear. 1. Lengthens Eyelashes: It gives you decent volume with several coats, but it actually makes lashes look EXTREMELY long and dramatic. It should rather be marketed as a lengthening mascara than a volume building one. 2. 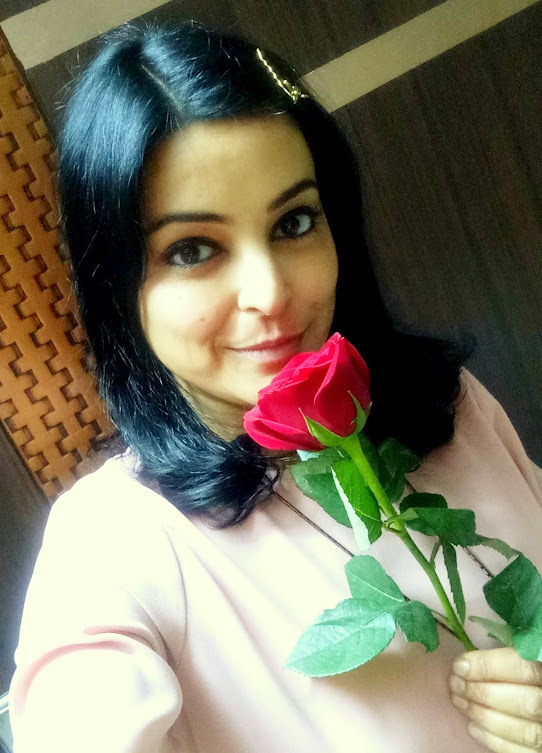 Affordable: The product is fairly decently priced at Rs 275 for the kind of results you get. In fact, I found it better than my other mascara, which is 3-4 times costlier than this. 3. Easy to Apply: The applicator wand is nicely bristled, has just the right length of the tip and easy to manoeuvre. I could apply several neat coats in just a few seconds and had to dip the wand in the bottle only twice, to get a good application. 4. Not Messy: When you unscrew the wand out of the bottle, it brings out just the right amount of mascara to nicely coat both the lashes a few times. Does not dirty the area around your eyes while applying. 5. Doesn’t Clump: The consistency of the mascara formula is perfect: neither very thick, nor very watery, which is why it makes your lashes look naturally thick. Most reviews on the internet claiming that it does not give volume, are incorrect. In fact it does give decent volume, and very good length. 6. Stays Very Long: Does not come off with sweating or wetting. Does not spread smudge or wear off even after hours of wearing (I wear daily for at least 10-14 hrs in summer heat). I even happened to doze off one night with this mascara on, and woke up to find it intact with no harm to the lashes. 7. Gentle: Lashes do not feel hard or plastic like on wearing this mascara. My Revlon Waterproof mascara used to harden my eyelashes like plastic, giving me bad headache within an hour. I am wearing this Maybelline mascara comfortably till late night. 8. Holds Curls: You don’t need to curl your lashes separately. While coating from root to tips, just put a little pressure on your lash tips to make them curly and repeat several times. Let it dry. The curl will stay till you remove the mascara. 9. Beautifully separates Eyelashes: Since I applied several coats, the ends of my lengthened eye lashes started sticking to each other. I dabbed lightly with a tissue paper and let dry. The lashes came out beautiful and separate on drying. 10. No broken lashes: Unlike my other costly mascara, this mascara does not cause my eye lashes to break, touchwood. 11. Contact lenses friendly: The best part, I even wore it with contact lenses without any problem, itching or irritation. 12. Foolproof packing: Comes in a sturdy plastic packing that won’t break upon dropping. Won’t leak. It comes in a bold bright yellow tube, helping you find it easily in your dark lining purse. 1.Sometimes irritates on contact with water: The packaging does not say if it is opthalmologically tested or not. Upon first wear, I felt slight irritation at the root of my lashes and had to scratch the skin every few hours. Most times, I comfortably wear it for at least 7-10 hours. But whenever the mascara happens to get even slightly wet, the chemical releases into the eyes and irritates. It is not waterproof and it is the same with all non-waterproof eye makeup items. 2. Chemical Smell: Smells like some eye medication or may be fountain pen ink, though it smells better than the ewww smell of waterproof mascaras. 3. Less Volume than claimed: The brand’s claim of colossal volume in just one coat is exaggerated. You do get decent volume, but with several coats. However, this product won’t disappoint you for sure. 4. Bottle doesn’t stand: The mascara bottle is shaped like an elongated eye or an elongated wheat grain, like an Indian gulli to be precise: fat in the middle and very thin at the ends. It keeps falling on the table. HOW TO REMOVE THIS MASCARA? Initially I didn’t know it was washable and kept removing it with oil and rose-water my previous mascaras. There was not a single broken lash hair when I removed with oil. The day I discovered it is washable, I tried removing it with Johnsons baby top-to-toe, no tears wash (didn’t have the heart to hurt my eyes with soap). It came off but broke my lashes and badly stung my eyes due to the chemical that got in my eyes while washing. With oil, it comes off with 1-2 min of gentle oil massage into my eye lashes with my pinky (smallest) finger. You can use almond, coconut or any other branded make-up removal oil. I used Biotique Bio almond Oil (face and eye makeup remover oil). Plain parachute coconut oil works equally well. It is very important to remove eye makeup properly to keep your eyes healthy. You can read my tips on applying mascara here and tips on removing mascara eye makeup here. Easily available in retail stores in most cities. Not available in mine. I wanted to buy this one in Feb this year, but I had read mixed reviews about this product on the internet. So I bought another one. This one came in a PRIZE hamper from goodlife.com for winning in their Facebook Summer Tips contest, along with two other items. Even though I have another new mascara, I was very enticed to try it and am pleasantly surprised with the results . You can buy it online from goodlife.com (free shipping on orders above Rs 100, which qualifies this mascara for free delivery), medplusbeauty.com (free shipping above Rs 300), urbantouch.com (free shipping above Rs 300) and many other online stores that offer great service and cash on delivery. A very affordable formula with great results. Can be used as an everyday makeup item without burning a hole in your pocket. Makes a great gift for a young girl who has just started using makeup. Since the washable variation is so good, I am hoping the waterproof variation should be very good too. Will try after finishing the two mascaras I presently own. Hey Vish. Thank you so much for visiting. Good that you told me about the waterproof one, now I won't need to go check out for reviews. This one works good but the bristles are very sharp. So you need to be very careful with the brush. I am going to update this review with this info. Hey. I was initially confused between waterproof and washable. But I finally bought washable after reading reviews online. I have heard that washable wont come off until you cry your eyes out.